Haiti buried Jean-Claude “Baby Doc” Duvalier last week, but his and his father’s ghosts continue to haunt Haitian politics and keep institutions so weak that, after two decades of operations, the United Nations decided to renew its mandate there yet again this week. Duvalier didn’t get the state funeral his family and closest supporters wanted, but his sendoff was dignified enough to demonstrate that political elites have forgiven his excesses – including thousands of extrajudicial killings and unbridled corruption – or were at least nostalgic for his version of “law and order.” President Martelly tweeted that Duvalier was “an authentic son of Haiti” and sent his personal friend and counternarcotics chief, Gregory Mayard-Paul, to the service. While a small group of protestors outside the church demanded justice for the dictator’s abuses, several hundred of Haiti’s economic and political elite applauded the eulogies for Baby Doc, who was forced into exile in 1986 and returned in 2011. Duvalier outlived by three months the first president to be elected after his removal, Leslie Manigat, who himself was overthrown in a bloodless coup after serving less than six months in office (1988). The next democratically elected successor, Jean-Bertrand Aristide, was ousted in two coups (1991 and 2004) and last month was put under house arrest for alleged corruption. Institutional weaknesses dating back to the Duvaliers’ rule and before continue to stymie progress in Haiti. Because the government is unable to provide even basic police services for the people, this week the United Nations Security Council again – for 20 years in a row – authorized an extension of a mission to provide either peacekeeping or “stabilization” support. The vote was unanimous and, according to the UN’s own press report, the MINUSTAH mission would continue “for another year, until 15 October 2015, with the intention of further renewal.” Like past resolutions, this week’s called on Haitian political leaders “to work cooperatively and without further delays to ensure the urgent holding of free, fair, inclusive, and transparent [elections]” at the legislative, partial senatorial, municipal, and local levels. Senate elections are three years overdue, perpetuating the sort of political crises that have long plagued the country. Officials’ reassurances to U.S. Secretary of State Kerry and others last week that elections will be held this month lack credibility in the absence of an electoral law and the complex preparations necessary for voting. It would be inaccurate and unfair to say that Haiti has made no progress since Jean-Claude’s ouster almost 30 years ago. The vicious and corrupt Haitian military has been disbanded, and – although the Tonton Macoutes that the Duvaliers deployed to force the population into submission were never brought to justice – vigilantes no longer roam the streets terrorizing entire neighborhoods. Haitian elections have been messy but, in many observers’ estimation, clean enough to give Presidents and legislators a good bit of legitimacy. But the tragedy of Haiti that keeps repeating itself is one of unfulfilled aspiration. Individual Haitians are deeply committed to education – sacrificing huge portions of family income to keep children in school – and, when jobs are available, work as hard as anyone in the hemisphere. Despite billions in aid, the country’s institutions are too weak, and the elites’ interest in keeping them that way is too strong, to move the country faster. 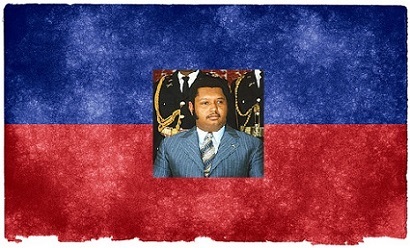 The politically and economically powerful who prospered under Duvalier surely hope that any responsibility they had for his excesses was buried with him, and if Haitian history is any guide, they’ll get away with it – while the UN and international community keep internal Haitian tensions in check and help provide basic services.